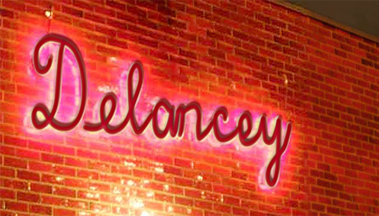 Delancey offers great atmosphere in east Hollywood, with yummy pizzas and salads and beer flights that allow you to have smaller portions of more beers. Wait staff is knowledgeable and friendly. 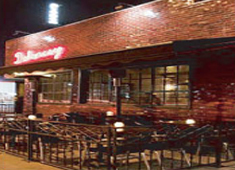 Their beer list is the best of any restaurant in Hollywood and the ambience is a nice cozy atmosphere which would be nice for drinks and a date. There is an outdoor patio for smokers.